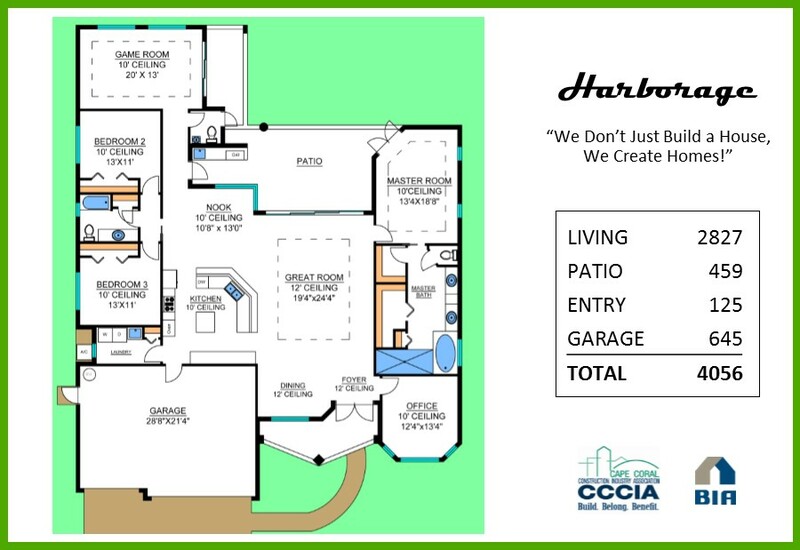 Walking into our Harborage model, you are greeted with over 4000sqft of living space. From the entranceway, you walk through the foyer and enter the dining, great room, and kitchen area. The office along with the spacious master bedroom and bath are the right. 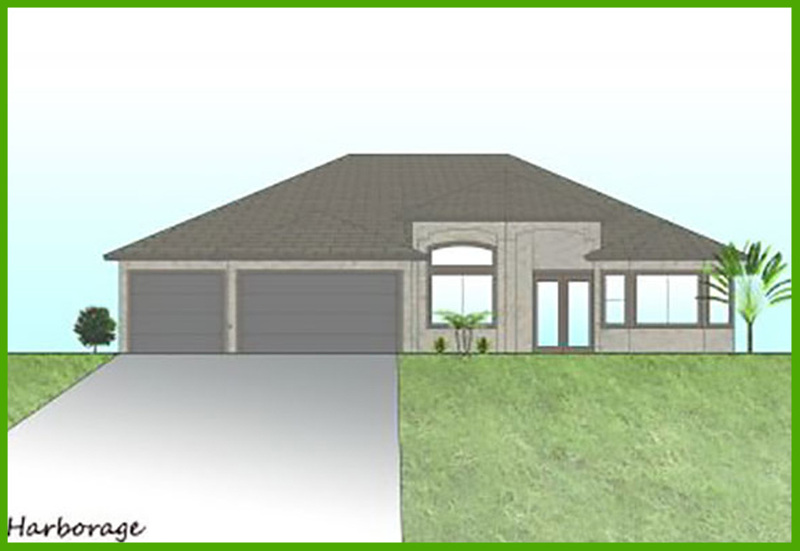 Walking through the master bedroom, you will enter the patio with a summer kitchen that has granite top. Continuing through, you enter the game room ready for play. Continuing through brings you back to the living area and the two other bedrooms on the right with the kitchen straight ahead and the laundry room behind it.